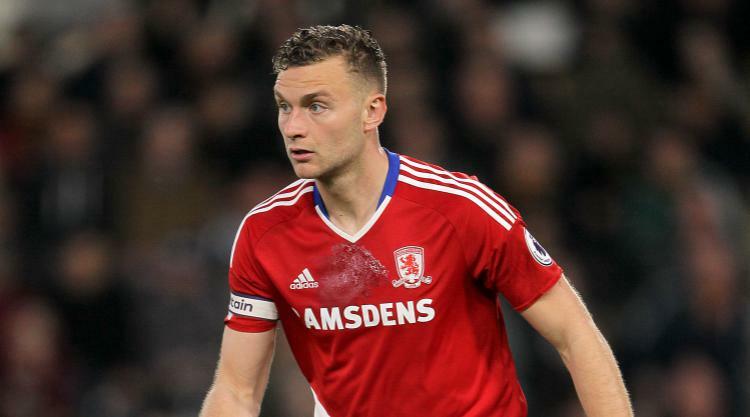 Middlesbrough manager Garry Monk is adamant that Ben Gibson is not for sale. The highly-rated defender, who was called into the England squad last season, has been strongly linked with Southampton and West Brom. Boro have reportedly rebuffed offers worth around £20million following their relegation from the Premier League, and Monk insists the club are determined to hold on to the 24-year-old centre-back. "You want to keep your most important players and the chairman (Steve Gibson) is very strong on that," Monk said. "We don't have to sell anyone. It's a stable club financially and it's a great place to go and work. "We're looking to get the squad together, work hard and wait for that window to close." Ben Gibson is the nephew of Boro chairman Steve and Monk, who was appointed manager in June, says the player is committed to the Sky Bet Championship club. Asked if he was expecting more bids for Gibson, Monk replied: "Not particularly, no. But I'm not concerned, I'm not focused on that. "You can never say never, but in terms of Ben's commitment to the club and the owner's idea of what's needed to be done it aligns with what I'm thinking so it's fine. "I can't believe it (the transfer window) goes into the season. "It's ridiculous and should have been shut last week, but we'll stay focused on the season ahead." Boro are fancied to bounce back into the top flight at the first attempt after spending more than £40million on new players this summer. Striker Britt Assombalonga came in from Nottingham Forest for a club-record £15m, while Danish forward Martin Braithwaite, Norwich midfielder Jonny Howson and the West Ham pair of Ashley Fletcher and Darren Randolph also joined. "We've done the bulk of what we wanted to do," Monk said. "We've been very good as a club in terms of incomings and maximising our outgoings. "We still have a couple of bits planned - comings and goings - but in terms of balancing what we've spent and what we've brought in we've done very well."